The Seven Wonders adventures continue in this print bind-up of The Select and The Orphan. The Select tells the story of thirteen-year-old Burt Wenders, the first documented carrier of the G7W gene, and his fated voyage to the island that would eventually come to house the Karai Institute. In The Orphan, learn the story of Daria, orphaned at a young age and enslaved by the Babylonians, and her valiant battle to escape the only city she's ever called home. These titles are together in print for the first time ever. 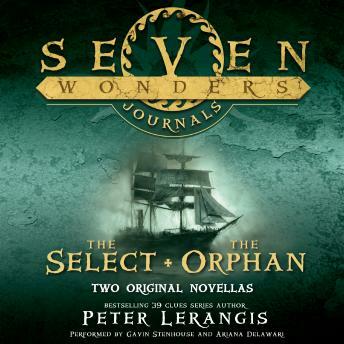 With key historical details and plenty of backstory surprises, this is a perfect addition to the library of new and continuing fans of the New York Times bestselling Seven Wonders series by Peter Lerangis, author of three stories in the 39 Clues series.